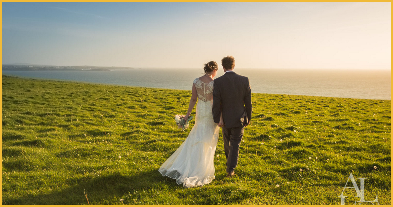 Rod & Jill Brake welcome you to Bre-Pen Farm, Mawgan Porth, offering comfortable & friendly Bed & Breakfast accommodation on a working National Trust farm, where animals roam the fields and courtyard, and the promise of a traditional Cornish farmhouse breakfast greets each new day. 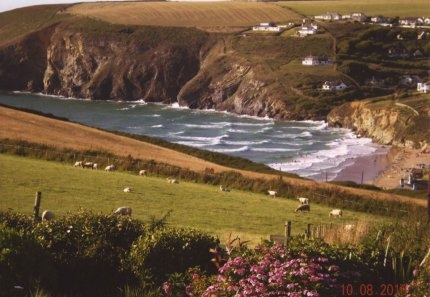 The farm is perched on top of the cliffs of the north Cornwall coast, between Newquay and Padstow. We enjoy spectacular views over the Atlantic ocean, and towards the village and beautiful beach of Mawgan Porth, with direct access to the south west coast path. We’re open all year round and we look forward to seeing you! Explore Cornwall - it’s all within reach! The perfect holiday location - explore Cornwall from Bre-Pen Farm B&B and be anywhere within an hour’s drive. Bude, Falmouth, St Ives - all less than 45 miles from our gate, and many attractions much closer.